So the past few days have been spent sorting, packing and boxing in preparation for my move to Dublin next week. Its been a pretty hectic few days to say the least, with lots of things to get sorted. But hey, theres always time for an outfit post right? Im really digging these kinds of outfits right now. 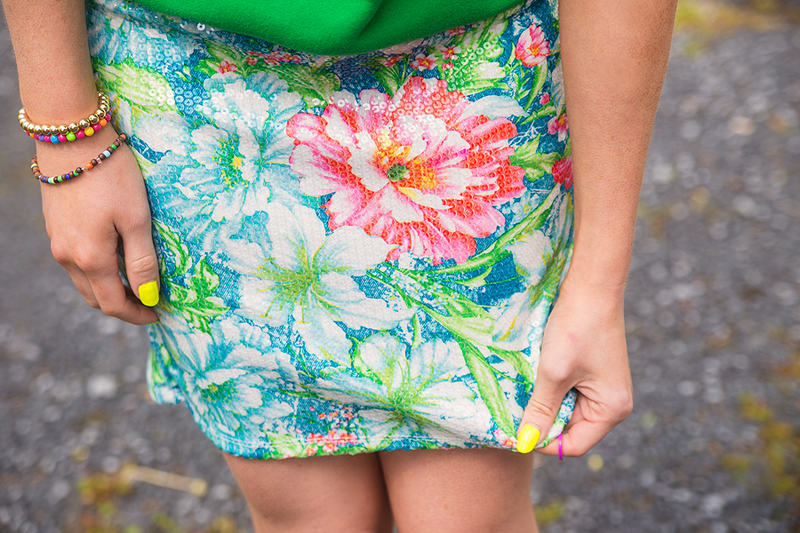 Lots of colour and print ~ it's hard not to feel happy when your wearing something so bright and fun. 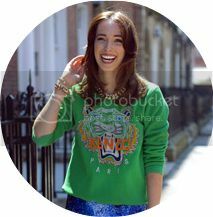 * This Penneys skirt was bought ages ago (another sale-rack bargain, Im pretty sure it was a fiver) and I had been putting off wearing it for some time, as I was trying to find the perfect outfit that would "tone down" the craziness of the skirt. Then I thought, "to hell with that, why not tone it UP instead?" and so I teamed it with an equally crazy printed-pullover, and thus, this colour-infused outfit was born. This post is also the debut of these gorgeous new white wedge-heels from eBay. (another bargain at €20 ~ including shipping!) I love them, and I can't decide if it's because they're totally weird and gross, or totally ladylike and perfect. Either way, you'll be seeing more of them in future posts. I featured the link to the them in the description, in case anyone's interested. You can hype this look on Lookbook here, or by using the button below. Also, have you entered my second "Win My Wardrobe"Giveaway yet? If you fancy snapping up a pair of DaisyStreet Heels and a River Island dress, then check it out and enter here. *Although my obligatory "Fashion Scowl" face might suggest otherwise, I was actually really happy when taking these photos! Furthermore, my new favourite Romwe are having another amazing sale, this time for Memorial Day today, (Happy holidays to my American readers!) and you can shop it here. I have been snapping up so many amazing bargains from them recently, Im surprised my postman hasn't protested yet. Good thing I'm moving soon!